2. Tracking West/North-Westwards, centre will Strike Northern Sri Lanka by the 15th, and move into Tamil Nadu between Ramanathpuram and Nagapattinum by the 17th of November. Indian coast hit pressure 1004 mb, as a depression. 3. Moves inland, with good rainfall in interior TN, specially S.I. and Nilgiri Mountains and S.I.Karnataka on 17th/18th. 4. Moves into Arabian Sea as an UAC around 18th November. We've moved too much into the future, will halt now...and monitor the scenario..
6. Weak WD on schedule for extreme Northern region around 12th November. (These are my personal views, and for commercial use ,please refer your local met Dept). Today sky turned partly cloudy towards afternoon here in Badlapur. Also in Pune it was more cloudy in afternoon time. So looking like that next 2days chillness may remain to lower side as cloudy weather developing ! And I think may be some scattered areas of S.Madhya Maha including Pune may get some light rain in next 48 hrs. Arpit/RK: If you check the MSLP chart ,we see a trough at that level running from the WD. 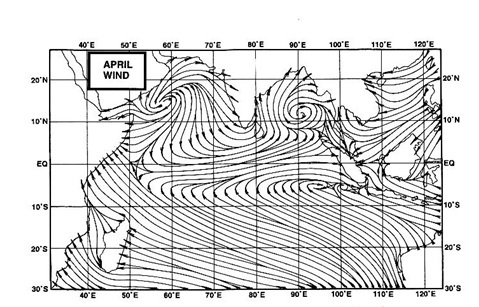 The trough ,weak like the WD, runs roughly from Haryana thru Delhi and upto West UP. It is formed as an off shoot from the WD...WD was mentioned in the forecast on Wednesday...no rain was recoreded in any parts of NCR...clouds were 3 OKTA at 3000 feet and now 4 OKTA at 9000 feet...tomorrow, the trough fades away,with the WD...as another WD, also weak approaches from Monday...these WD are weak, hence not numbered...tomorrow, initial clouds will vanish and flatten by evening..night min rises to 17c tomorrow..
Pavan: today (Saturday) clouds in Pune did not tower too much, just some initial thermal current due to heat pushing it a bit high. But, when you see the clouds going flat, that means stable atmosphere...these really do not bring rain...in fact these clouds become flat altos by evening...high pressure on sea level chart portends stable atmosphere..
Looks like these 2 systems in the bay is not going to be any beneficial for chennai. weather is likely to clear in chennai will be mostly sunny and dry. Sunday Lowest in Northern Plains: Amritsar 8.4c, Mountains: Leh -7c, Shyok -15c. Arpit: WD , as a system is weak now in the west. I feel a weak WD, will approach by 14th/15th, with rains in the extreme north..
Neeraj: Read your report/feedback on Kathmandu by mail.